Non-Surgical Spinal Decompression (NSSD) is an effective treatment for the treatment of neck, low back, and/or sciatic pain caused by bulging or herniated discs, degenerative disc disease, facet syndrome, or failed back surgery. 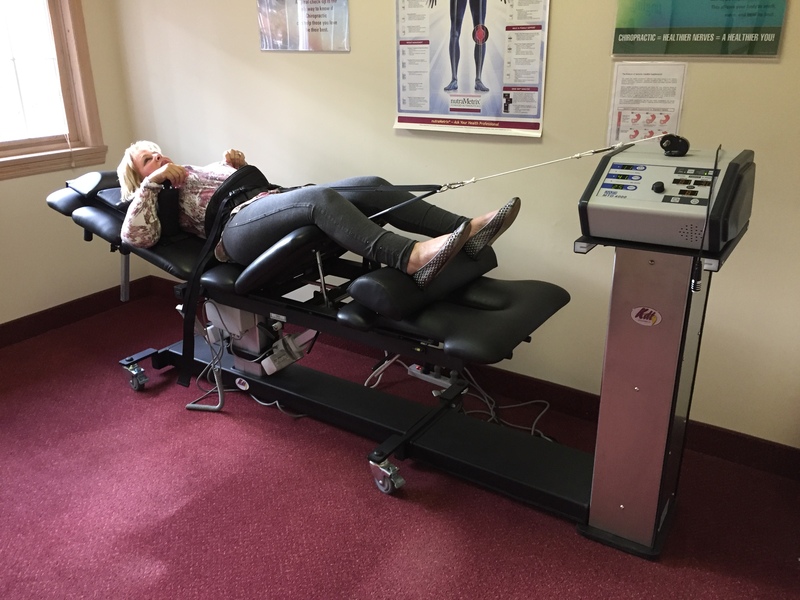 NSSD is performed on a special table that slowly lenghthens and decompresses the spine , creating negative pressures within the discs. This reversal of pressure creates an intradiscal vacuum that not only takes pressure off of pinched nerves, but helps to reposition bulging discs and pull extruded disc material back into place. NSSD utilizes a sophisticated method of cycling the patient through a series of slow pulls, and releases. The super-smooth transitions between each phase of therapy can make for an experience so relaxing that many patients often fall asleep. Over a series of treatment sessions, patients experience powerful pain reduction and healing. Some notice an improvement in their symptoms after the first few treatments. Even post-surgical patients and those suffering from certain types of stenosis (narrowing of the spinal canal causing nerve compression) have reported significant pain relief. The typical treatment regimen depends on the severity of the condition. Most treatment regimens usually consist of 20-25 sessions over four to six weeks. Each session usually last approximately 20-25 minutes. Patients can experience pain relief with the first few treatments, however, many experience dramatic relief of symptoms after the completion of their prescribed NSSD program. If you think you may be a candidate for NSSD, call us at any time to set up a consultation.